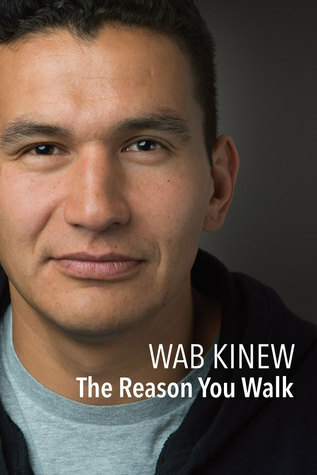 The Reason You Walk is Wab Kinew's ode to his father, Tobasonakwut. Tobasonakwut was a survivor of the Residential School program in Northern Ontario and Manitoba whose mission was to "kill the Indian in the child". Tobasonakwut grew up in hardship, away from his parents and forced to forget his culture and beliefs. He grew up in a country that did not recognize him as a citizen, a visible minority with few rights and freedoms. But, despite all of this negativity, he managed to turn it all around and rise above it. Tobasonakwut became an inspiration to his children, his community, those striving to preserve Anishinaabe culture and everyone who is pushing for Indigenous equality across Canada. "More than any inheritance, more than any sacred item, more than any title, the legacy he left behind is this: as on that day in the sundance circle when he lifted me from the depths, he taught us that during our time on earth we ought to love one another, and we out to work hard to make them whole again. This is at the centre of sacred ceremonies practised by Indigenous people. This is what so many of us see, no matter where we begin life. This is the reason you walk." The Reason You Walk is more than just a memoir. It is a moving piece of literature that educates you on Canadian history and the real struggles that Indigenous people faced through out the years and still face today. Wab Kinew focuses on a once broken relationship between father and son that was mended through spiritual connections and pure love. Reading this book opened up a flood gate of emotions leading me to often stop and think about my own relationship with my parents. I have been lucky enough that our relationship has not suffered the turmoil and disconnect that Wab has experienced.This book reminded me that I need to be more respectful and caring towards them - not taking anything they do for me, for my family, for granted. I need to set a better example for my kids. "If a son helps his father when he is sick, then his son will help him when he is old." To say I enjoyed this book is an understatement. The amount of raw emotions it elicited and the soul searching that it prompted will stay with me for a lifetime. Thank you Wab Kinew for masterfully telling your story and helping make the world a better place for our children. "We have a choice in life-we can choose how we are going to behave. We can determine whether we reflect the good around us or lose ourselves in the darkness."